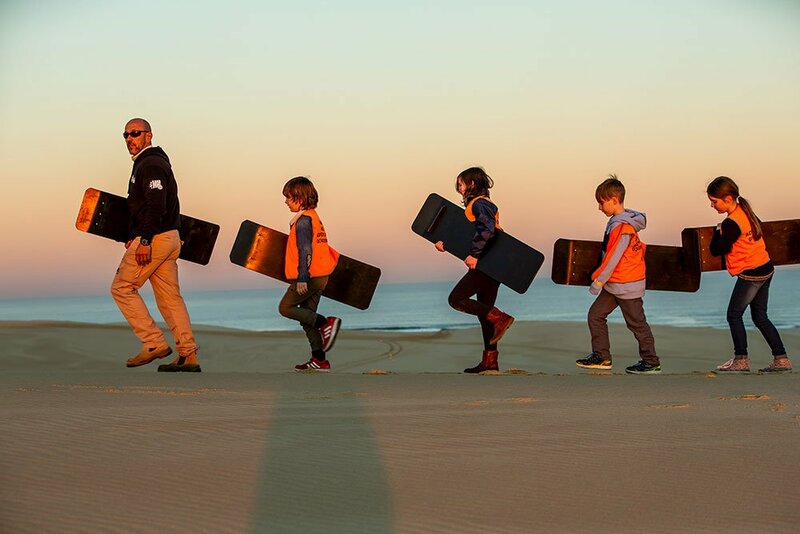 If children are 7 to 13 years old are going on a tour a parent / guardian MUST accompany them on the slow tour. 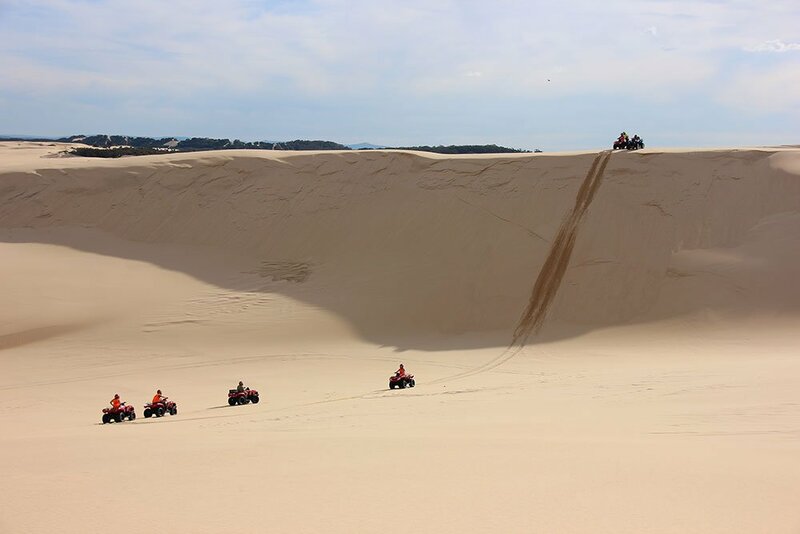 They will not be able to go on the main tour in the high sand dunes. Minimum 2 people for the tour to operate. Children under 5 are NOT allowed to ride a bike. Ages 5 and 6 must be doubled by an adult. Need 4 or more people to operate tour (unless agency). All tours are available Monday to Sunday 9.00 am to 5.00 pm (subject to seasonal weather and conditions). 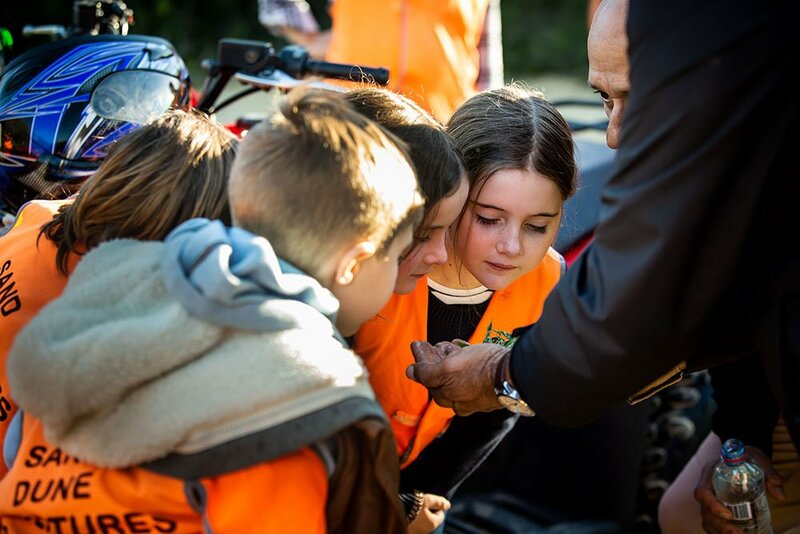 Children can share in the quad bike experience safely on one of our awesome 90cc Quads. 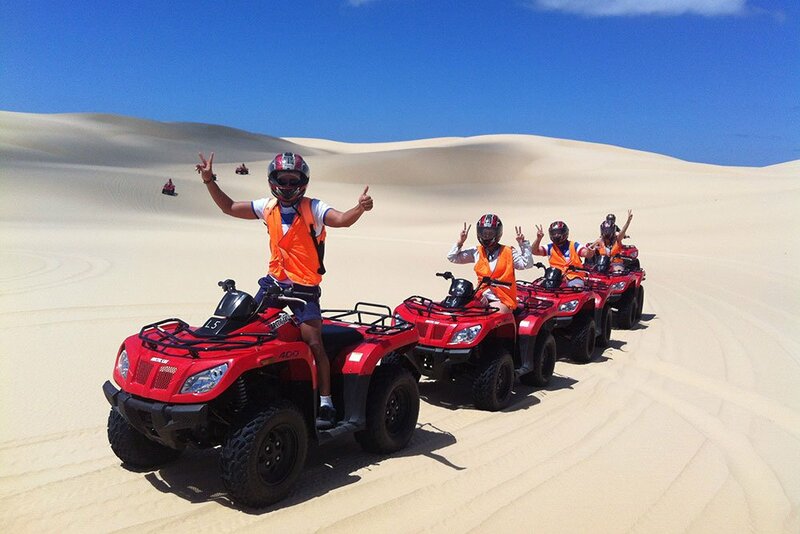 They are led the whole time by one of our experienced guides. 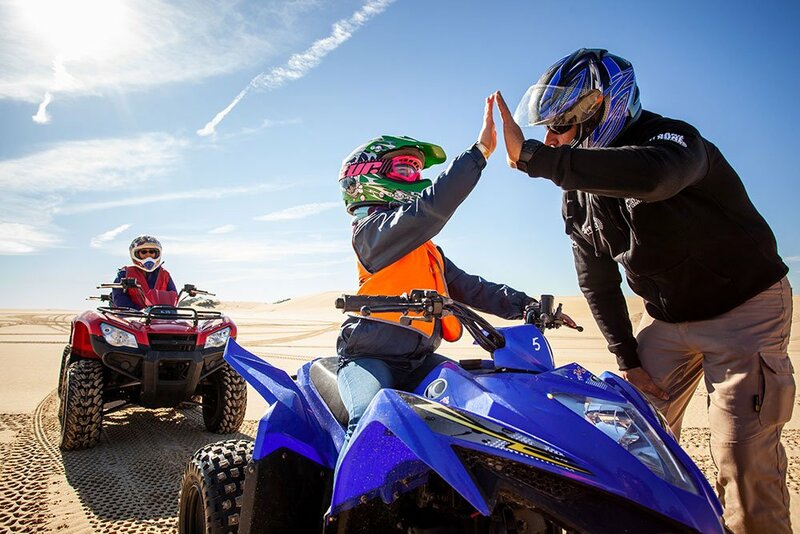 Children absolutely love the exhilaration of riding a track designed to suit their needs. Mum and Dad can ride along nice and casually with the kids. Children ages 7 to 13 years old. 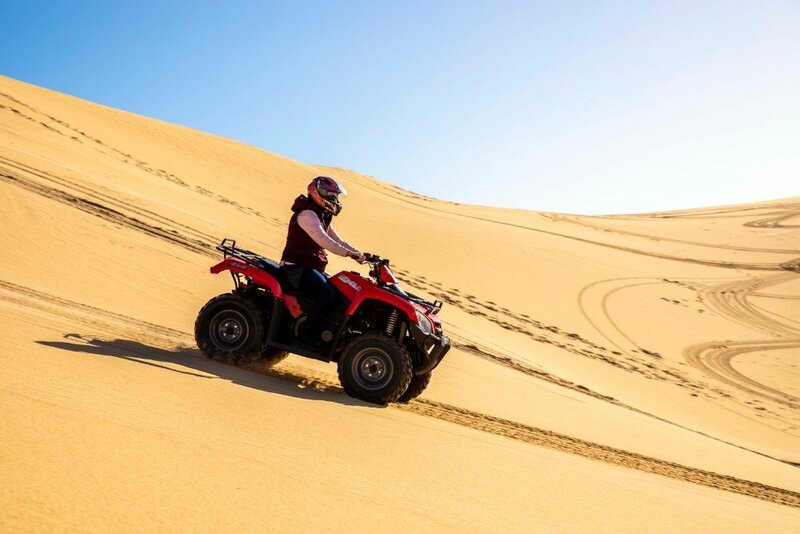 Aboriginal Culture and Sand Boarding are available on request (during bookings) for all tours but this will impact on your riding time. 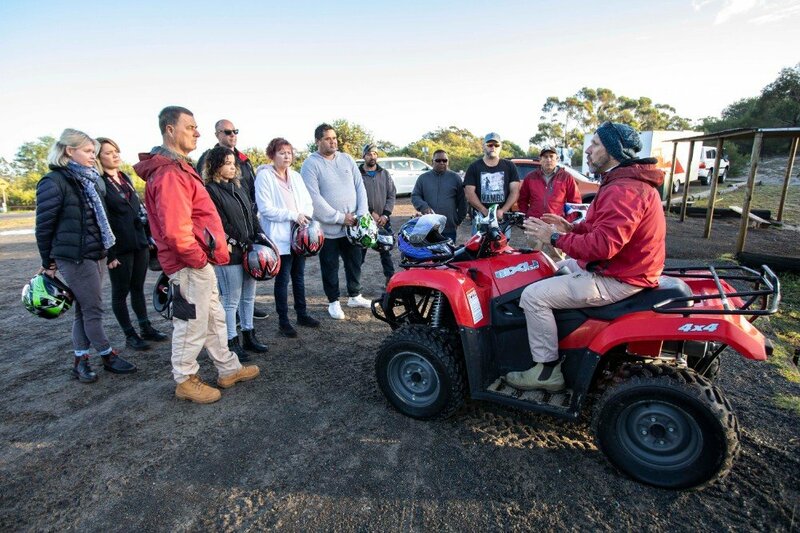 DISCLOSURE Quad Bikes are DANGEROUS and since 2001 there have been over 230 deaths in Australia; the majority caused by ROLL OVERS. 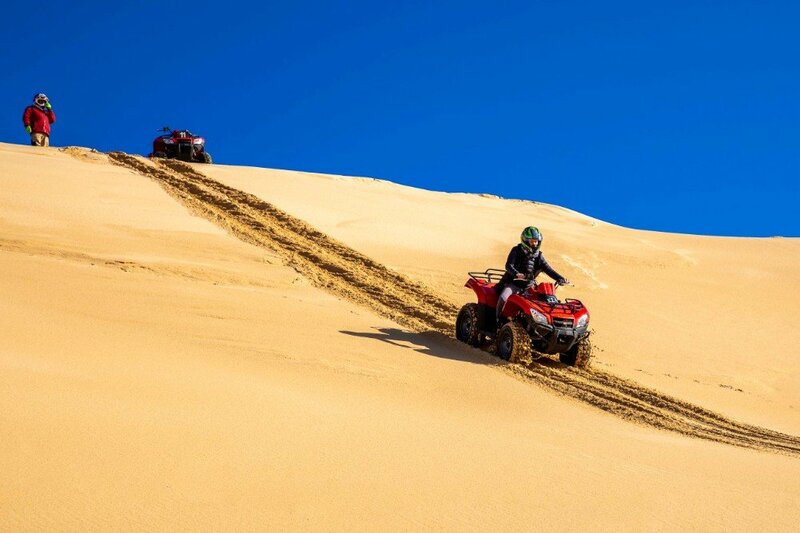 Rollovers can occur at any time due to many reasons including (but not limited) riding on uneven and unstable terrain (i.e. 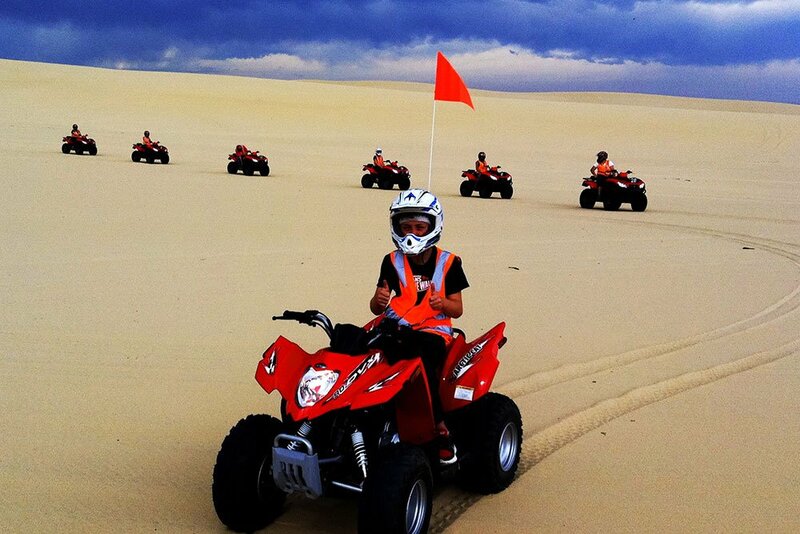 sand dunes) and travelling at high speeds. ALL Riders are putting themselves at risk and MUST FOLLOW THE RULES AT ALL TIMES. With Safety First as our motto, we provide 2 Guides (minimum) for every tour. 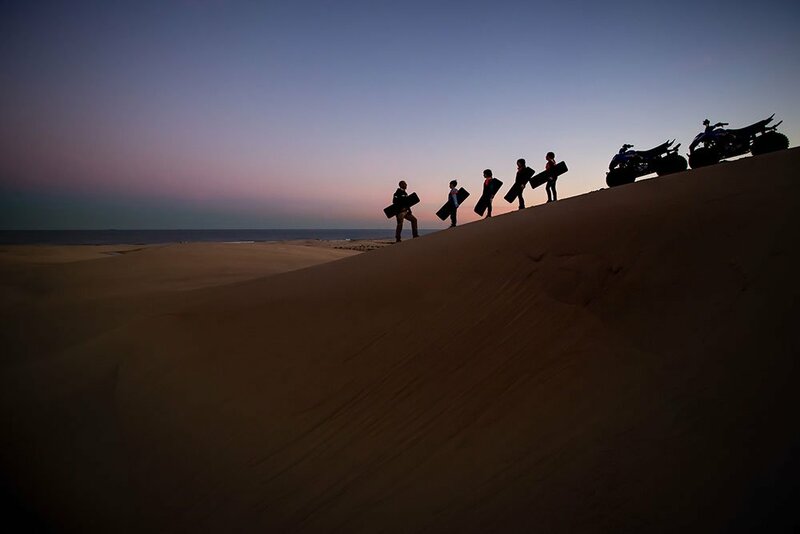 A Lead Guide who safely escorts you around, through and over the sand dunes. And a Tail-End Guide who keeps a close eye on everyone. We make sure you are not making attempts to ride outside your ability. 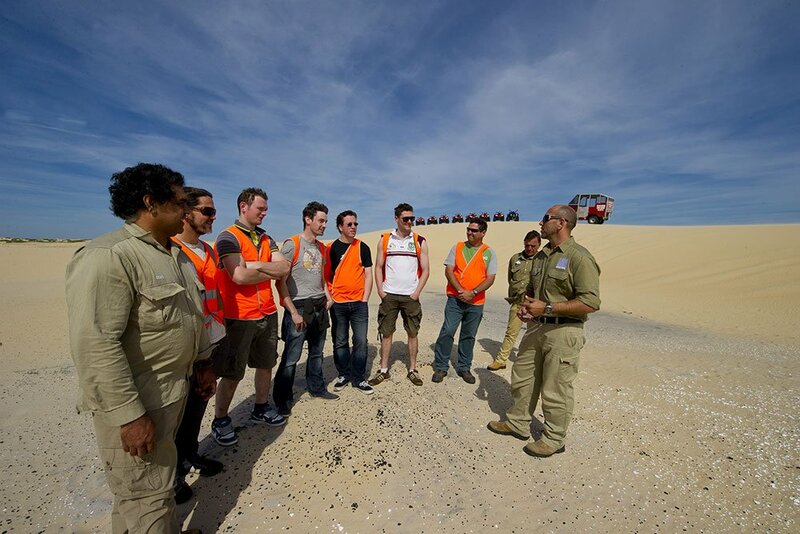 We also ensure that non-one gets left behind in the Coastal Desert! 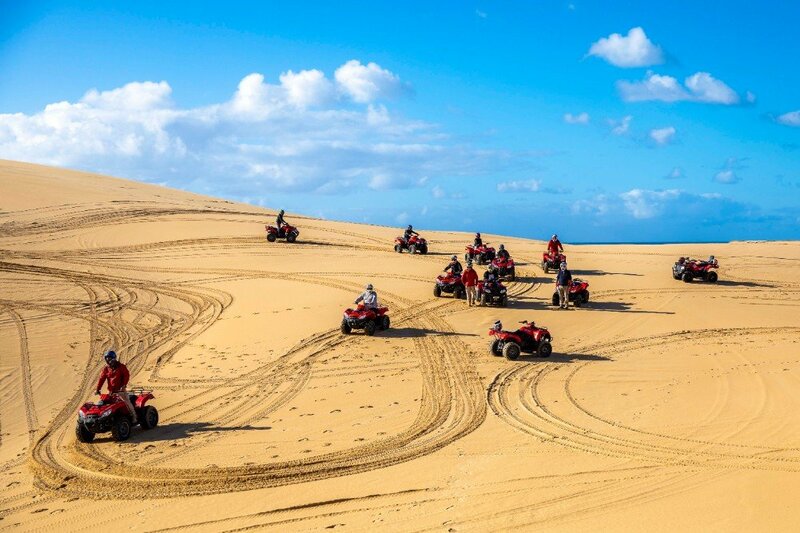 Our Tag-a-long Tours cater for the needs from beginners to the experienced. Starting from our Lavis Lane staging area you are compulsorily provided with a Hi-Viz Vest and Safety Helmet. 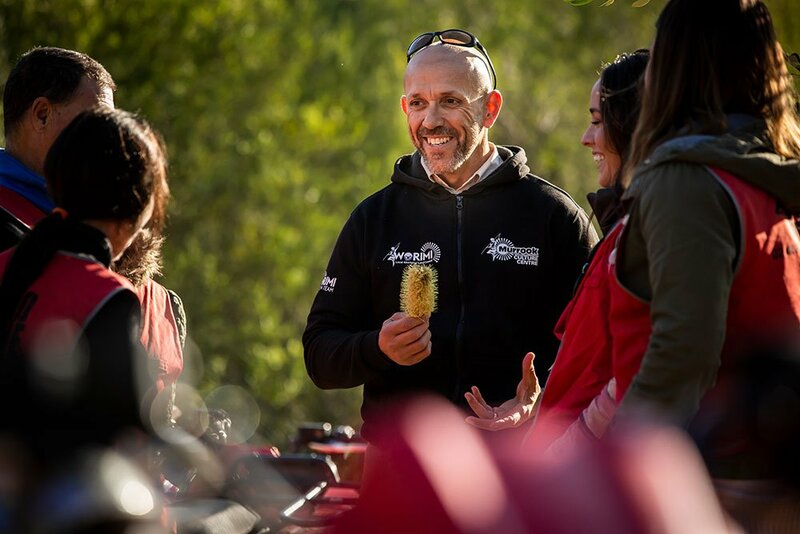 You receive a hands on introduction and familiarisation of the bike and a Safety briefing before heading out. 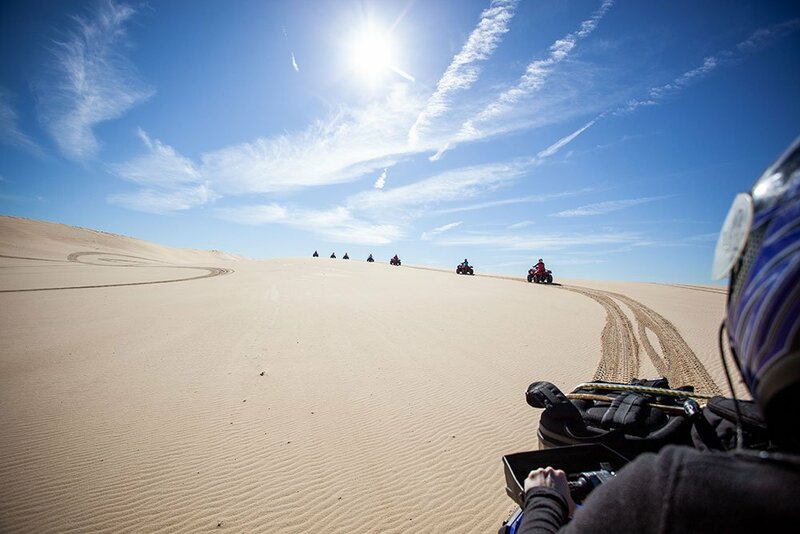 The tracks we use onto the Sand Dune are our Exclusive Access Tracks. 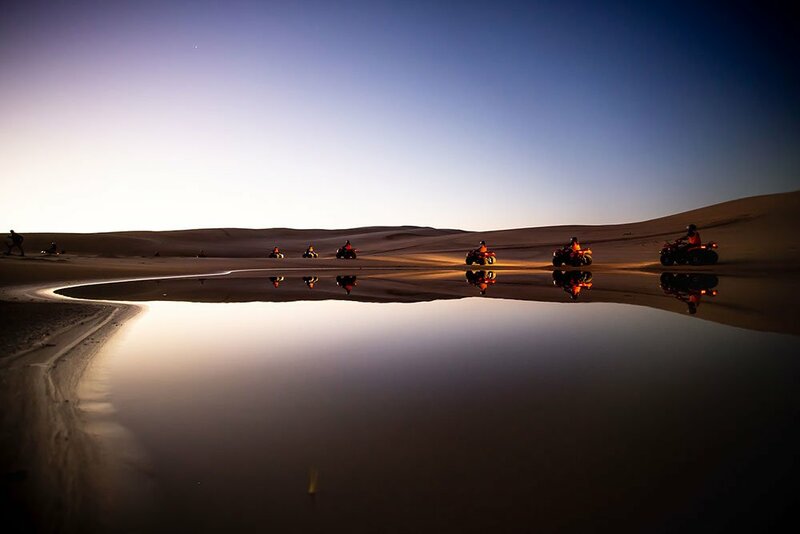 Our Guides are skilled at providing a safe yet challenging experience. As your confidence grows so will the Adventure! 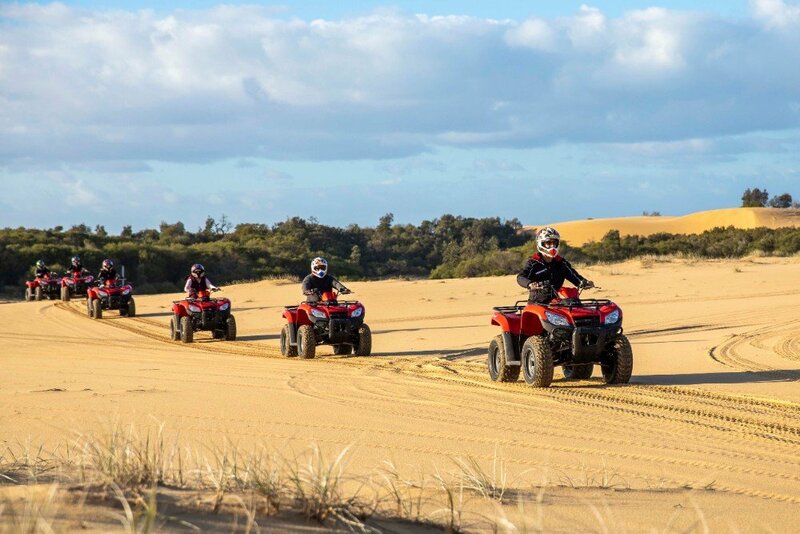 If its adrenalin your after or simply cruising we have a Sand Dune Adventure for everyone on the Biggest Dunes and the Biggest Bikes in Port Stephens. We are very flexible in meeting your needs. 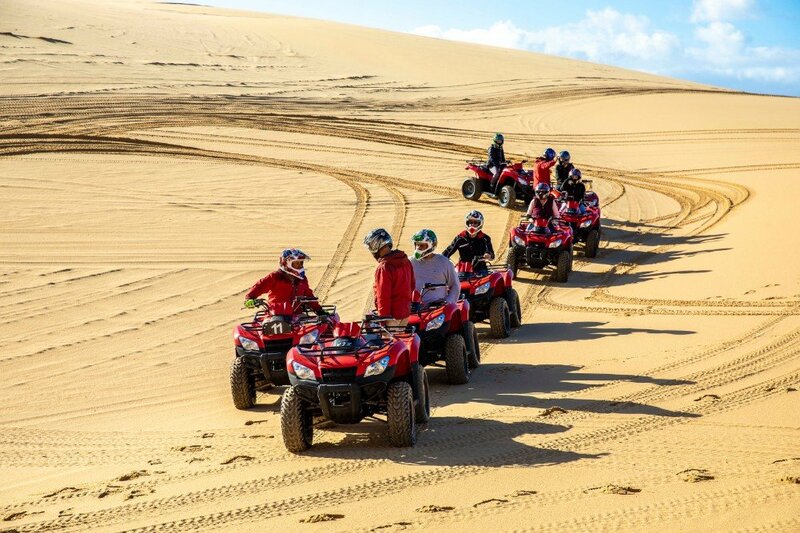 So if you have a special occasion or work function give us a call and let us make create an adventure. 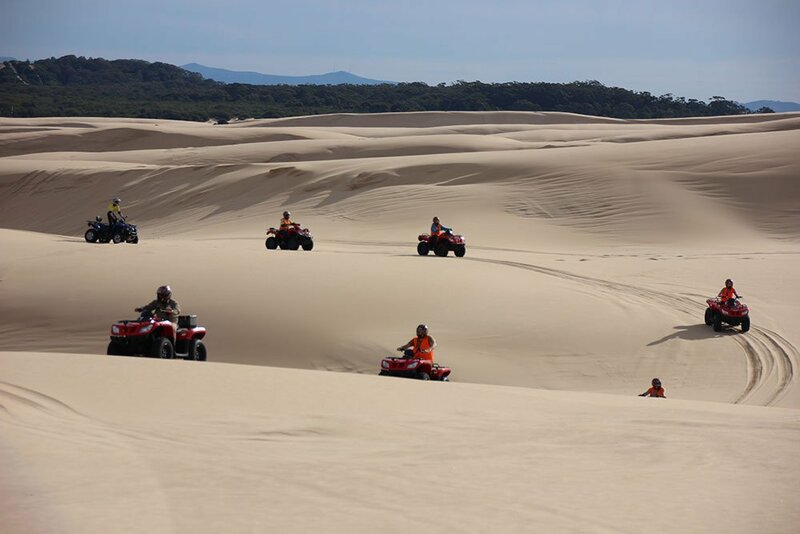 For all Quad Bike Tours NSW. 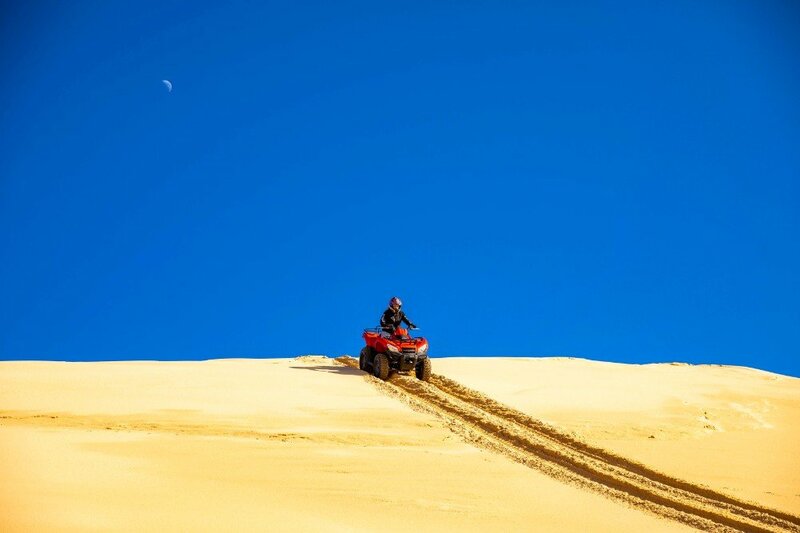 Call Sand Dune Adventures on +61 (0)2 4033 8808 to book your next thrill seeking ride. 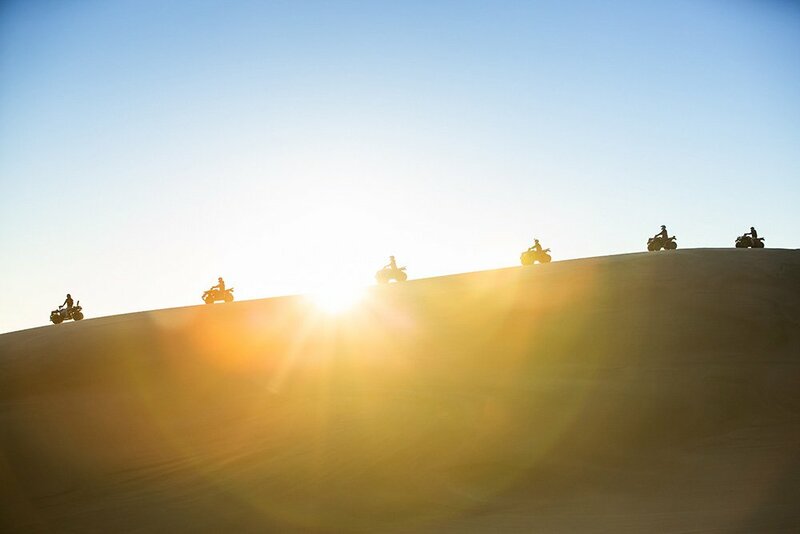 Stopping atop the high dunes, you are provided with a 360’ view of the lands. We talk about traditional occupation and uses of the land. Fresh water lagoons and midden sites (tool and burial sites) can be spied from this vantage point. The presentation also includes information about the current tenures and the hopes and aspirations of the local Aboriginal people. Following the presentation you are guided past each of the attractions . NOTE: The time restriction for this experience does not allow a ‘hands-on’ experience (can vary from time to time). 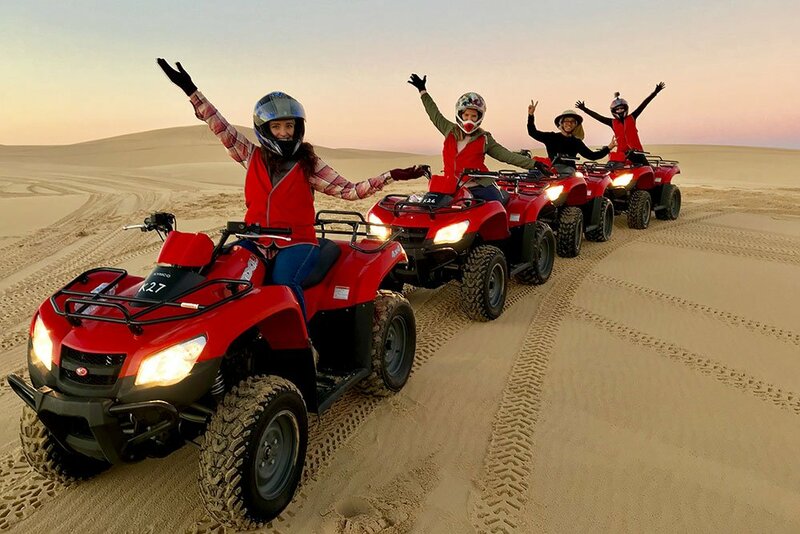 Includes hands on experience at the Midden/Tool making sites, digging for fresh water and bush foods/medicines contained within the area sand boarding as well down one of the highest sand dunes in the southern hemisphere. Our bikes have to give you a fun filled and safe riding experience. You give them heaps and they have to be able to take it! 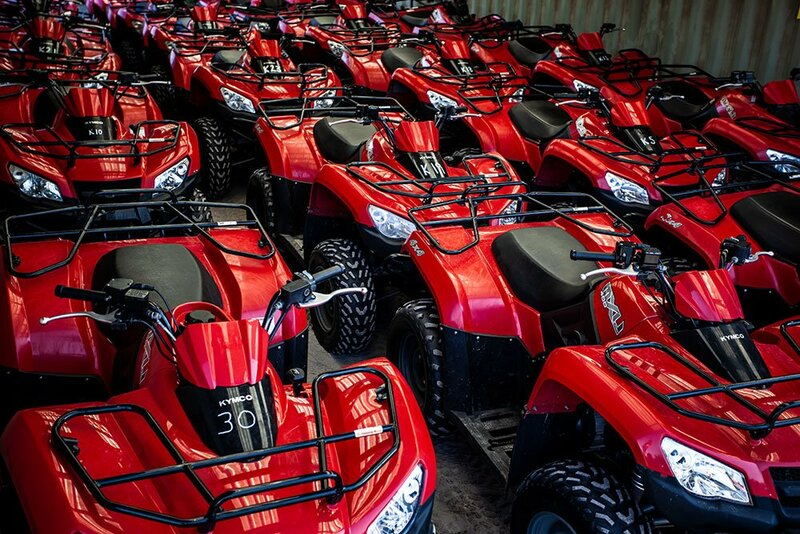 A number of quad bikes were tested before we decided to go with the 400cc KYMCO. 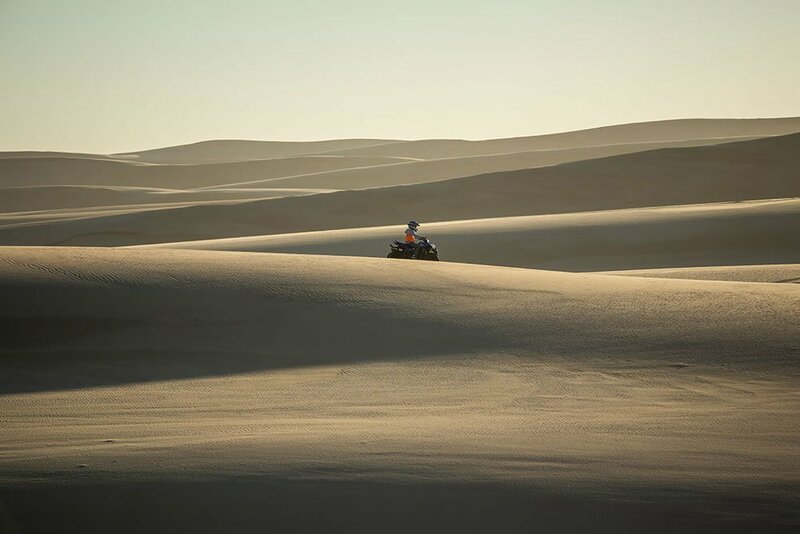 They were tested on soft sand (the most difficult of surfaces) for reversing, stopping and starting on steep slopes, 4WD effectiveness, speed over bumps, stability, ease of use. The KYMCO was the only bike that ate it all up with ease and the more we threw at it the more impressed we were. 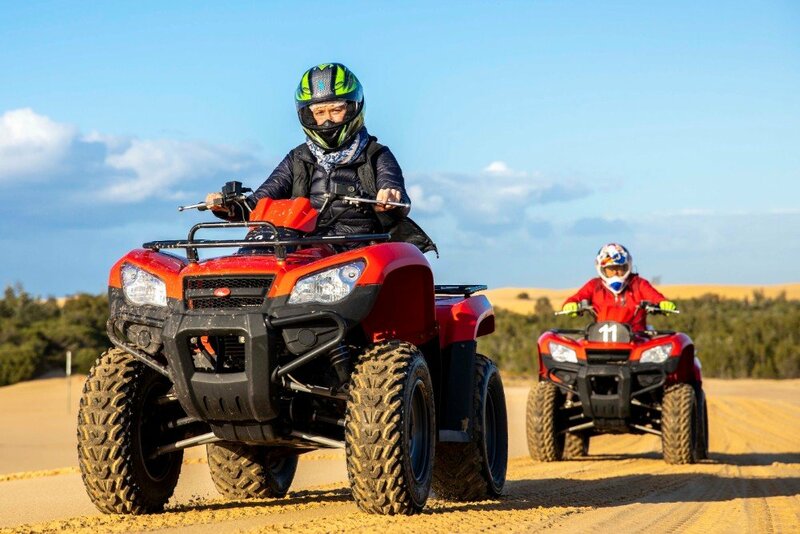 KYMCO are new to the Australian market but come with a great reputation of being the leading 4WD quad bikes in Europe. 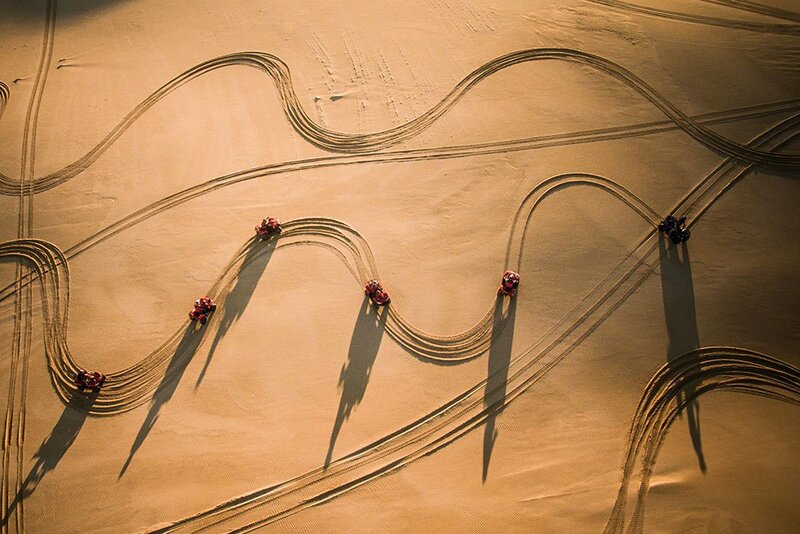 Sand is the most difficult of surfaces to drive over. As the wheels sink they push up sand in front of them and the going gets really really tough. We have people who range in size from tiny dancers to sumo wrestlers. 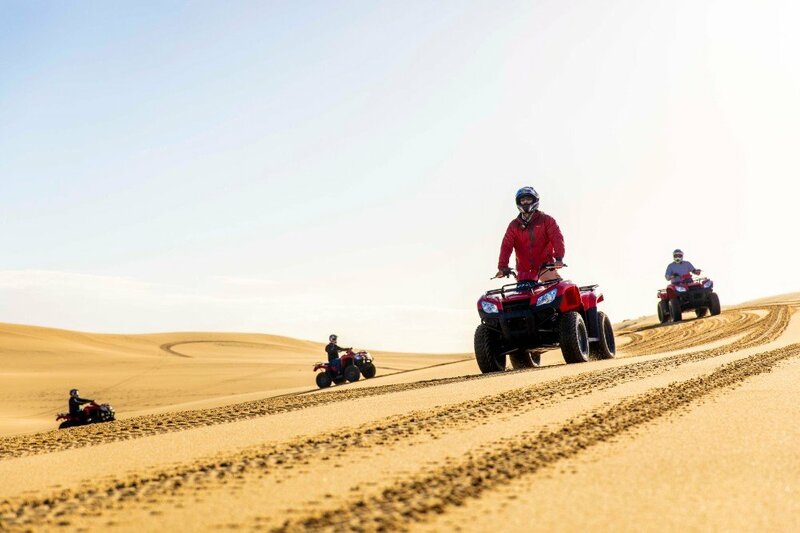 Our guests range from those who timidly stop in the worst of conditions to those who want to open the throttle and zoom up the sand dune slopes. 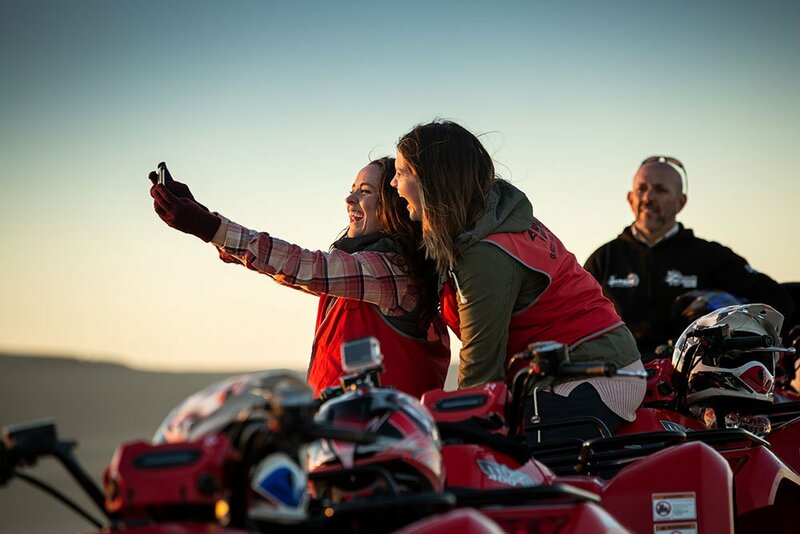 The bikes we use – the Arctic Cat 400 4WD 400cc shaft drive – do everything we want, which means they do everything you want. They can pull you out and push you on! 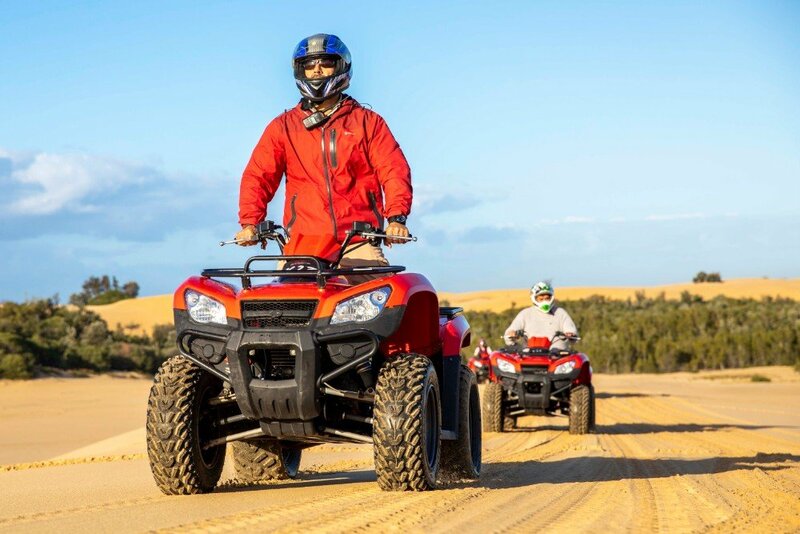 Note: 2WD quad bikes and bikes under 350cc engine capacity really just cannot cope with the conditions we will take you to. 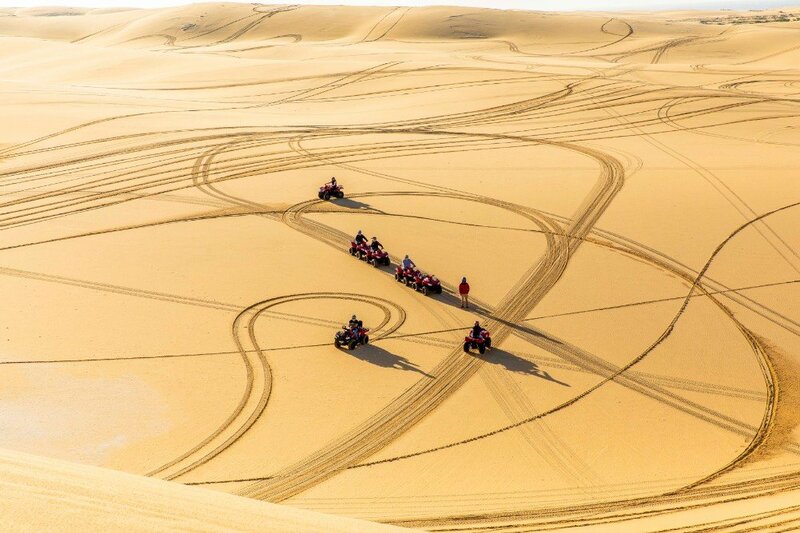 So unless your idea of fun is only staying in a very small area riding in circles or spending most of your time pushing your bike out of the sand!